Take the BX1 to Jerome Avenue and 210th Street. Take the BX10, BX16, BX28, BX30 or BX34 to 210th Street, buses stop directly outside our office. Take the No. 4 train to Mosholu Parkway Station. Take the D train to 205th Street Station (last stop). 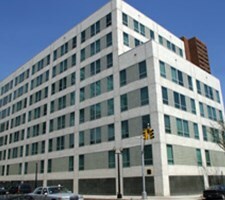 We are accessible from the Major Deegan Expressway (E. 233rd Street exit), the Bronx River Parkway (E. Gun Hill Rd. exit), and the Henry Hudson Parkway (Mosholu Parkway exit). Call for detailed directions.